Ok I now belong to the SSD Club. Here is what my CORSAIR FORCE SERIES 3 60gig in raid 0 did STOCK, compared to my old 160 raid OVERCLOCKED. I got 2 of these - no raid or funny stuff. The Intel is 3GB/s and the Samsung is 6GB/s. 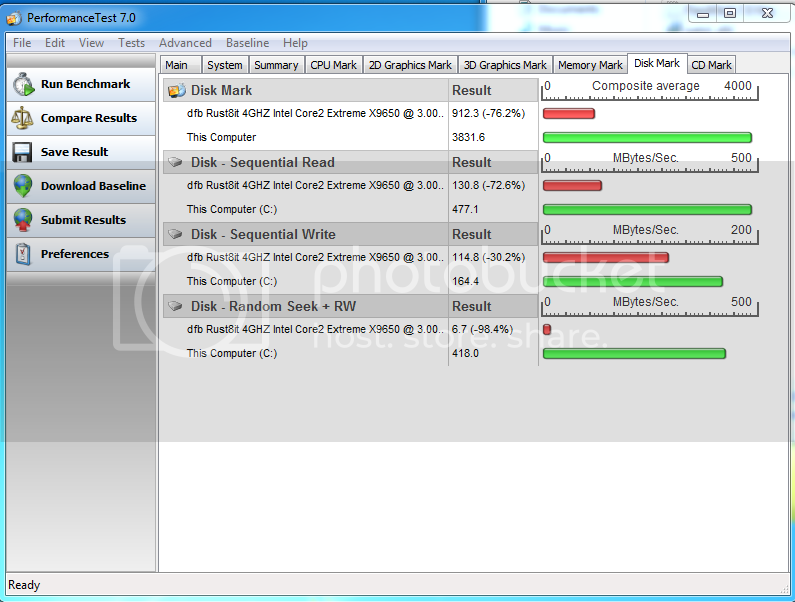 http://www.overclock.net/t/1156654/sean ... -ssds-hdds - found the AS SSD from reading that guy's stuff - very good stuff. http://videosean.gotgeeks.com/i/2012.08.14_Ziggo6+7/PerfRes_Z7.png - you can find the passmark7 numbers there, too lazy to run it again or crop or type the numbers. How do u get your writes so quick? Needed to get a scrolling screenshot of the window, this program doesn't give an option to save or export bench results.